Dr Hermine Graham is a Consultant Clinical Psychologist with over 20 years’ experience who works in the NHS in the West Midlands and as a University Lecturer and Senior Academic Tutor. Dr Graham works part time within Community mental health services providing specialist psychological input for long term, severe mental health and substance misuse problems and less acute issues. She is able to offer effective evidence based treatment for the full range of mental health difficulties including: anxiety, stress, depression, interpersonal problems, paranoia, psychosis, gambling, alcohol and drug use. Dr Graham specialises in helping people manage their moods and behaviour and develop a range of healthy coping and interpersonal skills. She has been involved in the development and research of leading edge psychological treatments that have been implemented in the NHS. Dr Graham is a very knowledgeable, experienced, and skilled clinician with a warm and friendly manner and we’re delighted to be working with her. 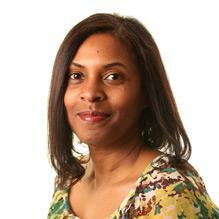 You don't need a GP referral to see Dr Hermine Graham.